If you are a new customer you will receive a %10 discount! Dallas Tailors and Cleaners has been servicing the North Dallas areas for over YEARS (50). Our goal is to provide both a superior customer experience and tremendous quality to our work. 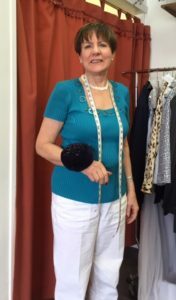 Ivonny Kiess has over 50 years of experience in the clothing and alterations industry and can assist you with just about any alterations. New hours: 8am to 6pm Monday to Friday and 10am to 3pm on Saturdays!